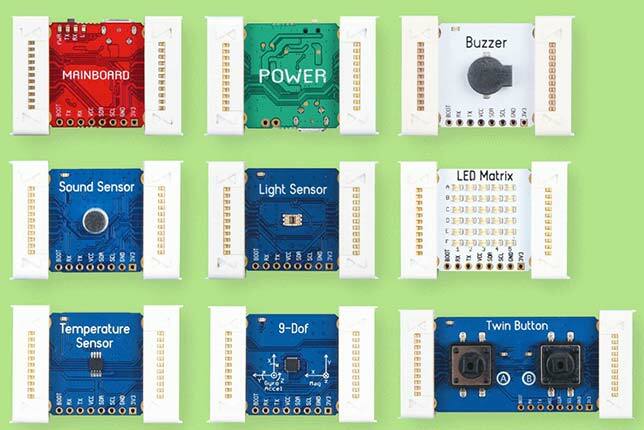 A Chinese company that provides electronic components for maker projects is bundling a small set of color-coded modules with lessons for the classroom. The Seeed Studio Grove Zero STEM Starter Kit comes with a main board, a power board, five sensors and two actuators, as well as how-to instructions to help teachers and students aged eight and older plug and play as they learn about electronics, programming, design thinking and logic. The product will be available starting Oct. 10 and will cost $99.50. Components of the Grove Zero STEM Starter Kit include a main board, power board and seven other functional microcontrollers. Each module in the kit is preconfigured with code that runs when the units are snapped together magnetically or that can be reprogrammed through a graphical application included with the kit (Module Matcher) or with Microsoft's MakeCode. The software is compatible with Windows and macOS. 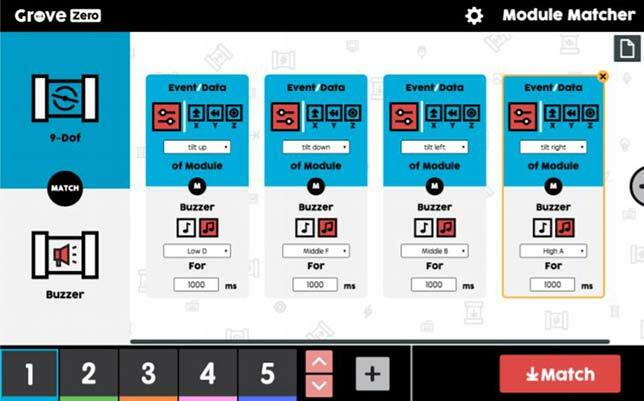 Seeed's Module Matcher software provides a visual form of programming that is downloaded to the main board for playing when it's completed. The curriculum includes instructions for eight different projects, including visualizing sound, creating a worm bot and setting up an "angular guitar." Each project is expected to take between 90 and 120 minutes. (It should be noted, however, that in its current shape, the content needs copy-editing for grammatical blunders.) The teacher's guide is openly available on Seeed's website, as is a "student invention log."